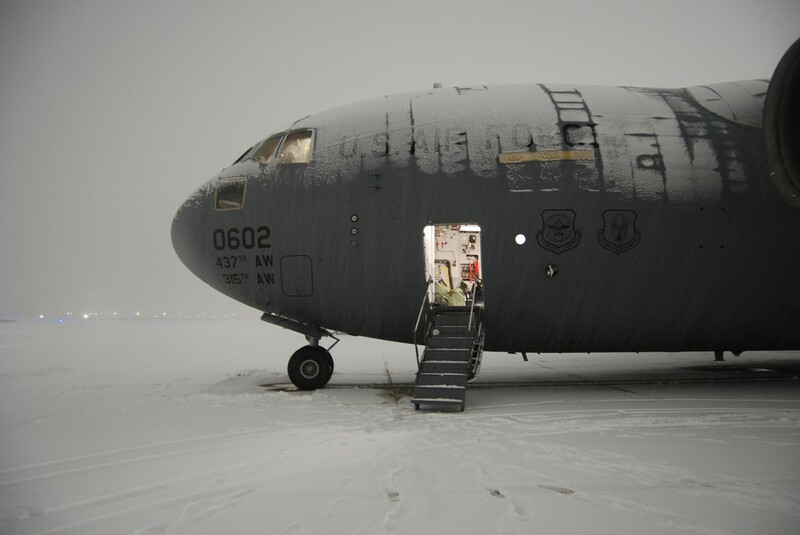 First measurable snow of the 2013-2014 winter covered the U.S. aircraft based at Bagram airfield, in Afghanistan on Dec. 29, 2013. 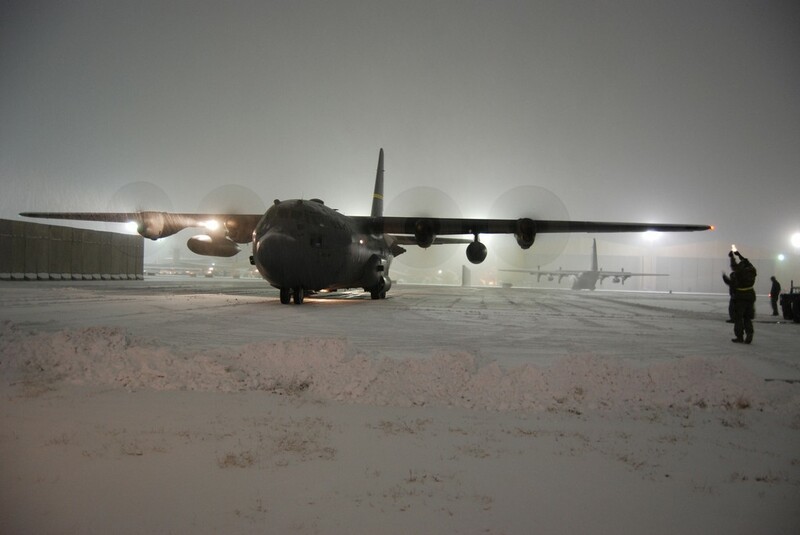 Snow accumulated on A-10s, C-130s , C-17s, and F-16s but the snowstorm did not stop flying activities at the largest U.S. airbase in Afghanistan. 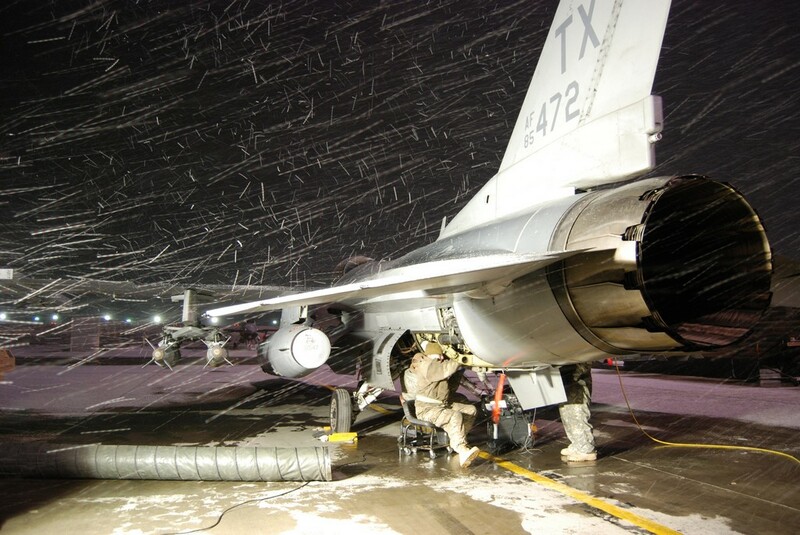 On Dec. 15, Bagram main runway was reopened after 121 days during which it was renovated and expanded 2,000 feet to accomodate the incoming F-16 of the 457th Fighter Squadron from Kandahar. The F-16s take-off and landing distance for the loads they carry are much greater than any other aircraft at Bagram, hence the need to expand it. 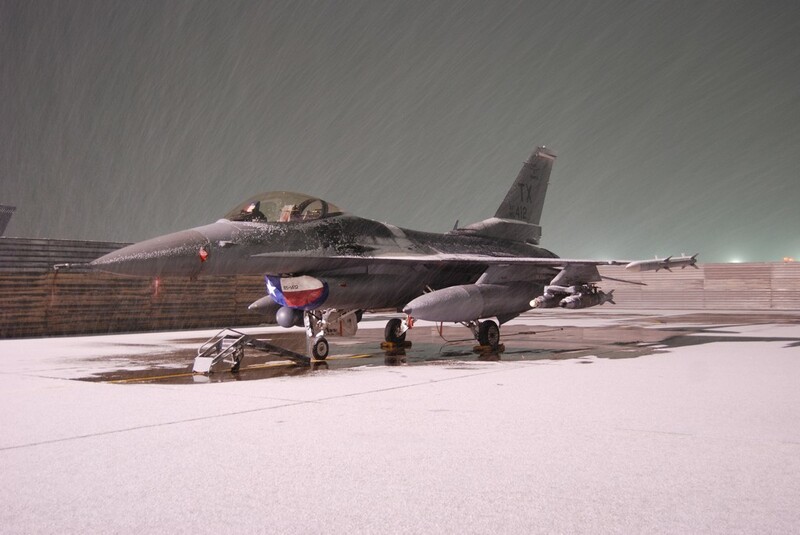 The length of the renovated runway not only allows F-16s and A-10s to carry more ammunition, but also allows cargo aircraft to carry more loads.